Drew Estate continues to top the charts with its unique cigars! 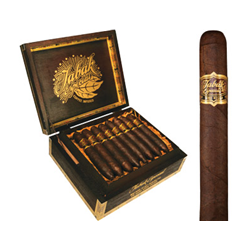 Tabak Especial is another example of just how good Drew Estate's infused cigars are. Featuring luscious flavors and aromas of sweet spice, dark chocolate, and rich coffee, this decadent cigar offers many perfect smoke-filled draws during a satisfying journey for your taste buds!